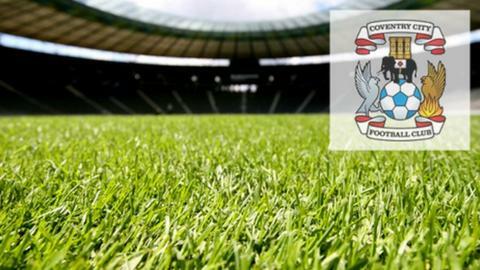 Coventry City midfielder Billy Daniels and defender Ryan Haynes have both signed new deals with the Sky Blues. Daniels, 19, has agreed a two-and-half year contract, tying him to the League One club until June 2016. Haynes, 18, will now stay with the Sky Blues until June 2017 at least, having signed a three-and-a-half year deal. "I keep saying I want to put my trust in our young players. It's an exciting period because we have a number coming through," said boss Steven Pressley. Both players made their debut last season, Daniels appearing in the 1-0 Capital One Cup win at Dagenham & Redbridge, while Haynes has so far made two first-team appearances, having made his debut in the 1-1 draw with Brentford in April. "The future looks bright for us across the back line with the likes of Jordan Clarke, Aaron Phillips, Jordan Willis, Blair Adams and Cyrus Christie. "Ryan is a player that we see developing in that same mould," said Pressley. "He's another full-back that likes to get high up the pitch." Daniels made a great start this season, netting three times in City's first two games. He scored twice in their first game at Sixfields, the 5-4 win at home to Bristol City, before getting another in the 4-0 win at Carlisle, but only returned to the squad at Bradford City last weekend after missing two games following a hernia operation. "Billy had an incredible start to his season which was great for him because his work ethic deserves success," said Pressley. "He works tirelessly for his team mates, has great determination and we have great belief that he will excel here." The signing of Daniels and Haynes on long-term deals follows new contracts for striker Callum Wilson and midfielder Conor Thomas.